If you are looking for a great car hire company in Camps Bay, then you have come to the right place. 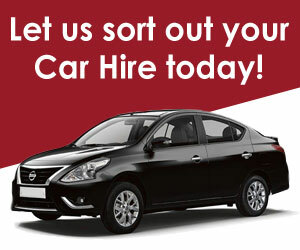 Here at CABS we offer some of the best rates, service and value with over 23 years’ experience in the rental industry. Our solid reputation is built on our excellent customer service and our ability to consistently deliver great value for money. As one of South Africa’s premium travel destinations for business and leisure travellers, Cape Town caters to a large number of visitors each year. Renting a car to explore the many attractions that the ‘Mother City’ has to offer is a fun, convenient way of getting around at your own pace. With a head office based at Cape Town International Airport, CABS helps you get from A to B safely and simply. Not only does CABS Cape Town offer you the option to explore the ‘Mother City’ via self-drive, but we also offer you the option to take a chauffeur driven tour to see all the many sights that Cape Town has to offer. Camps Bay is set against the world famous Twelve Apostles Mountain and boasts one of the largest Blue Flag Beaches in Cape Town. It lies just beyond the four beaches of Clifton where it presents an exceptional view of Lions Head. Camps Bay promenade with its distinctively Mediterranean vibe is lined with trendy restaurants and shops for tourists and locals to enjoy.